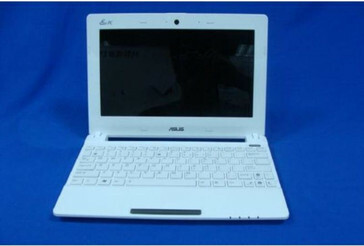 Clad in white with a chiclet style keyboard and two USB ports, Asus receives the FCC's stamp of approval for operation within the US. A week ago, Asus submitted documents to the FCC with plenty of data and pictures for the regulatory commission to review before providing authorization for the X101H to be operated in the US. 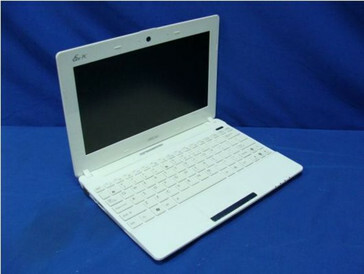 That permission was given today, and the latest Eee PC is on track for an arrival in the US this month. A cursory review of the photos reveals two USB ports on either side of the netbook's chassis, an integrated web-cam, unitary mouse button for both left and right mouse-clicks, VGA out, and a flash memory card reader. The X101H comes off of the Pegatron assembly line in Taiwan. As best we can tell from the internal photos, it appears to be a Seagate Drive providing the storage component, and may be a 256 GB SSD. Atheros provides the Wi-Fi antenna. The USB Ports are 2.0, so no hopes of getting USB 3.0 speeds on the cheap with this netbook. The X101H is expected to be available this month running Windows 7, and should sell for around $350. Its less expensive sibling, the X101, should not be too far behind and is expected to retail for $199.